Explore offbeat Indonesia on this 7-day tour. Cruise past orangutan release islands, walk through remote villages, learn about the lives of the local tribes and finally, stay in a traditional longhouse while enjoying your local host’s hospitality. Embark on your Indonesian adventure. Arrive at Palangkaraya Airport and transfer to the Rahai’i Pangun Cruise in Palangkaraya harbor to start your journey in Indonesia. 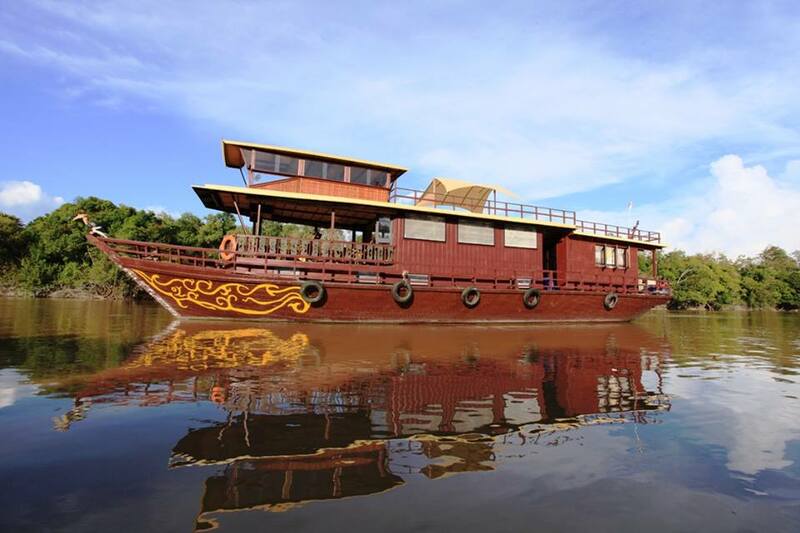 Cruise past the stilted and floating houses of the provincial capital and continue upriver along the jungle-lined river, passing villages and orangutan islands in Indonesia. In the early evening, take a canoe ride through shimmering black water lakes. 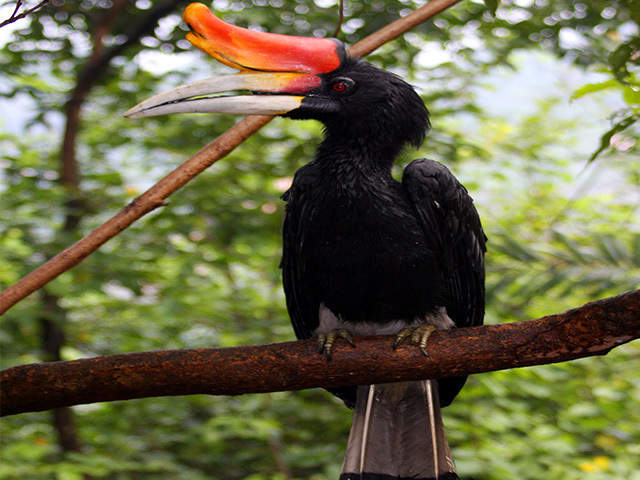 Keep an eye out for proboscis monkeys, hornbills, red langurs, and Brahmini kites. Return to the Rahai’i Pangun for a quiet dinner in the midst of the jungle. The Rahai’i Pangun moves up the Rungan River, passing the orangutan release island of Pulau Kaja, to Kanarakan village. Walk through the village with a local host to see how people live and work in these isolated communities. The indigenous people of Kalimantan are known collectively as the Dayak. The three major Dayak tribes in Central Kalimantan are the Ngaju, Ot Danum, and Ma’anayn. The village of Kanarakan is made up of the Ngaju tribe. Take a canoe ride through lakes and return to the cruise vehicle anchored near the village for dinner. Peat swamp forest dominates the southern lowlands here and intersects with many rivers. The peatlands are home to the largest remaining populations of the endangered orangutan. Orangutans are the only great apes in Asia and only reside on the islands of Borneo and Sumatra. 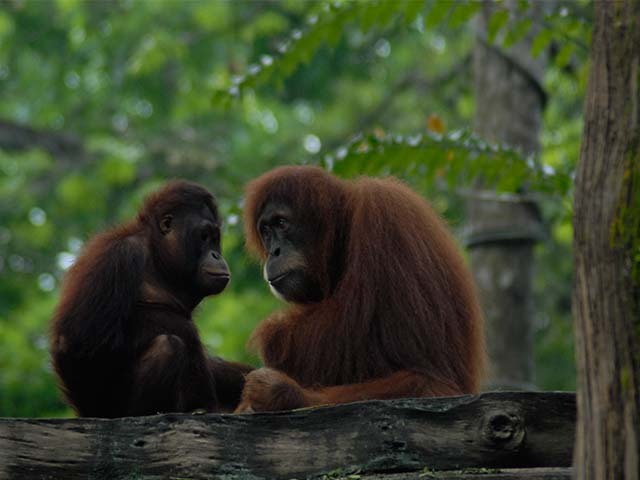 There are two species of orangutan: Sumatran orangutan ‘Pongo abelii’ and the Bornean orangutan ‘Pongo pygmaeus’. The boat makes its way down stream, again passing the orangutan island and cruising to Pallas Island. Transfer by canoe to Tumbang Tahai, and later to Tangkiling Hill to see the village ‘patahu’ at the sacred Batu Banama rock. Climb the hill for a view of the vast, flat flood plains and see the sunset. Return to the boat for dinner. Relax and enjoy the trip to Bukit Rawi today. Walk through this historic town and learn about the Dayak ancestral bone houses and the Tiwah funeral ceremony. Have dinner on board, and later enjoy an evening of traditional entertainment. Transfer from the Rahai’i Pangun and enjoy lunch at the riverside restaurant, Kampung Lauk, serving traditional food and grilled fish specialties. Travel to Tumbang Manggu by private charter car (approx 5 hours). Settle into your simple room and rest. Enjoy some coffee & tea in the evening. Join the longhouse family for dinner and later listen to the story of the longhouse as told by the elder. The Dayaks, once feared as Borneo’s famous headhunters, traditionally lived together in Communal Longhouses. 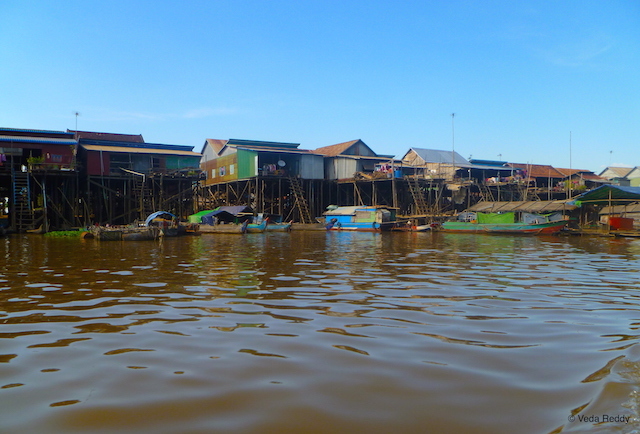 These longhouses are built on large iron wood stilts at least the full height of a man and his spear. This was done to offer protection from hostile tribes and animals. In 1894, a peace meeting was held in Tumbang Anoi Longhouse, upstream on the Kahayan River in Central Kalimantan. At this meeting over thirty Dayak leaders agreed to stop hostilities and headhunting. Today they are a peaceful people and make their living from fishing, hunting and agriculture. Star early in the morning after breakfast. Transfer by canoe, joining the people who work on their ladang taking latex from rubber trees or collect jungle products, and go on a jungle trek. Have a picnic lunch and enjoy an evening stroll to the nearby ‘sandungs’ or bone houses, outstandingly carved and painted, and learn about the Dayak death rituals. Enjoy dance and musical entertainment at night after dinner in the longhouse. Your 7-day long Indonesia Wildlife Tour comes to an end today. After breakfast transfer to Palangkaraya by car and onwards to your hotel/airport.